We know that every customer has different requirements and therefore we implemented number of parameters to Spectu that can change its functionality and appearance. 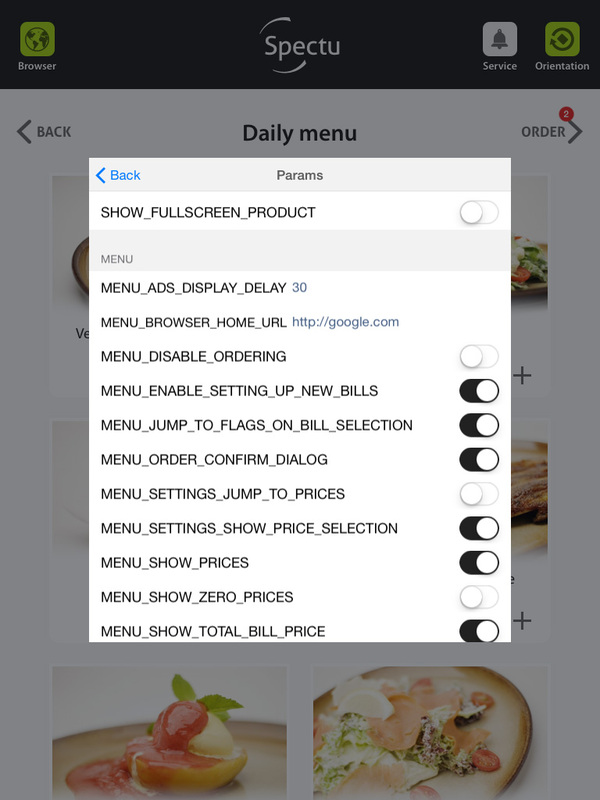 Parameters allows you to personalize in Spectu everything including showing or hiding buttons, define directions of screen rotation and much more. 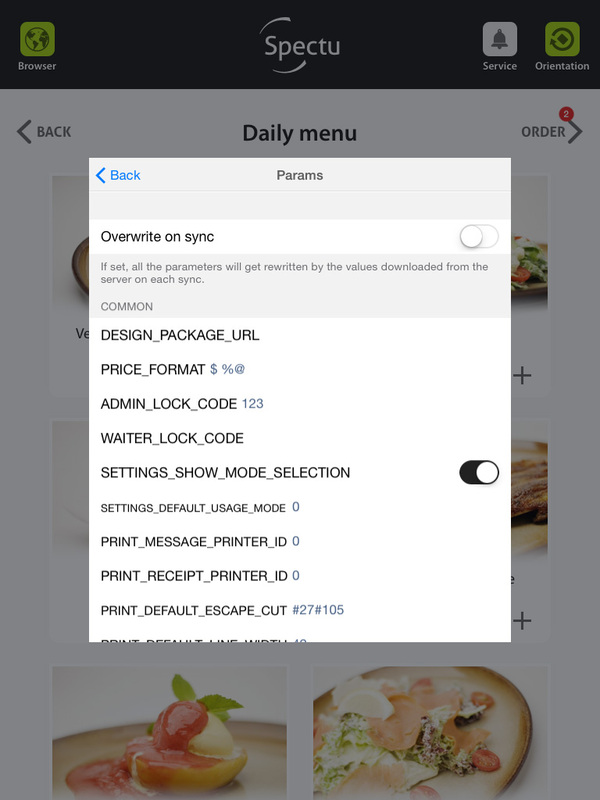 Parameters can be set individually for each iPad or centrally for all iPads in the POS / CMS. We add new parameters continuously based on requirements of our customers. Our goal is to maximize the universality of Spectu. If you have a special requirement on its function, it is very likely that it can be done by switching a button. Each application can be customized via parameters so it will suit your needs the most. You can find list of parameters in our documentation.